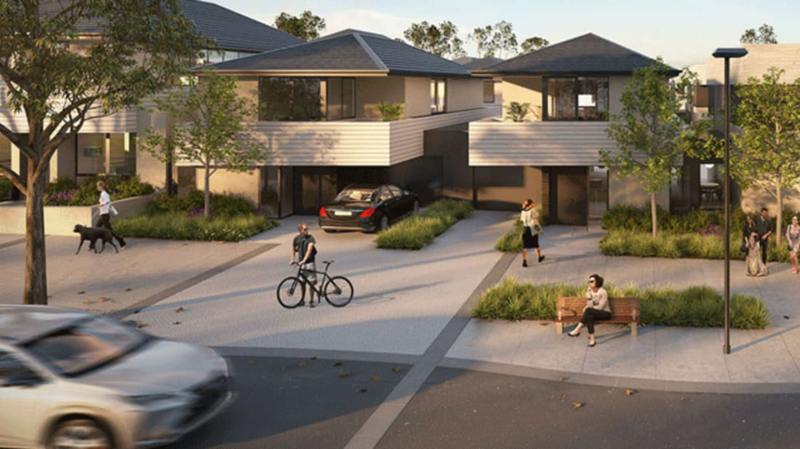 A new town planned for outside Melbourne, Australia could provide the first look at the future of suburban living. As Renew Economy reports, the “Tesla Town” will be the first in the world to feature solar roofs, energy efficient appliances, and Tesla Powerwalls built into every household. Designed and developed by the Australian property group Glenvill, the town has been dubbed YarraBend for the nearby Yarra River. When the project is complete, it will have 2500 townhouses, apartments, and single-family homes. The people who populate the town are predicted to use 43 percent less water and generate 80 percent less trash than they would living elsewhere, and because solar energy will be so abundant, residents should have enough to charge up their vehicles for no extra cost. Glenvill is billing the town as the first Tesla suburb, but it won't be the only place in the world that's making strides toward clean energy. Towns in Poland, Austria, and even the capital of Vermont all claim 100 percent renewable energy status. The homes aren't cheap. Prices range from $1.48 million to $2.1 million AUD. The first 60 properties went on the market this week, and the town’s first residents are expected to start moving in late next year.